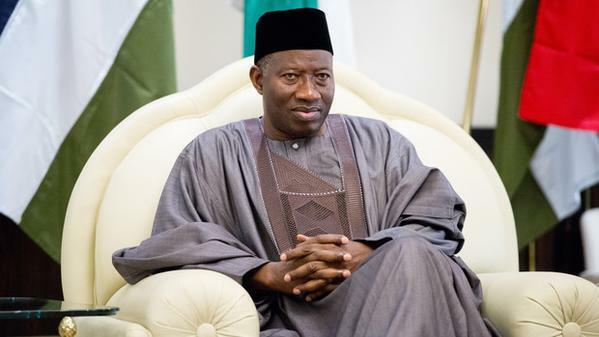 A group, Socio-Economic Rights and Accountability Project, on Sunday wrote to former President Goodluck Jonathan to tell Nigerians the level of his involvement in the alleged diversion of the $2.1bn earmarked for the procurement of arms to fight the Boko Haram insurgents. In the said open letter signed by its Executive Director, Adetokunbo Mumuni, SERAP highlighted 11 questions which Jonathan must answer, stressing that Nigerians had the right to get the ex-President’s answer to those questions. SERAP maintained that as the then President and the Commander-in-Chief of the Nigerian Arms Forces, Jonathan could not claim not to know that the $2.1bn earmarked for arms procurement was being diverted and shared. The group asked the ex-President to tell Nigerians whether he was the one who approved the alleged funds diversion or to take responsibility for his ineptitude if he claimed that the alleged fraud was perpetrated under his watch without his knowing it. The letter read in part, “Is it correct to suggest that the budget of over $2.1bn to purchase arms for Nigerian soldiers fighting Boko Haram in the North-East of the country was authorised by you (Jonathan) or your office? In other words, did your former National Security Adviser, Col. Sambo Dasuki (retd. ), seek your approval to collect from the Central Bank of Nigeria the over $2.1bn meant for the purchase of arms for Nigerian soldiers? “If so, Nigerians would like to hear from you whether the apparent diversion and sharing of our commonwealth by your former NSA was expressly or implicitly authorised by you. “Is it then correct to suggest that the former NSA implements presidential decisions and not make them? If so, is it also correct to suggest that the apparent diversion and sharing of the over $2bn meant for the purchase of arms was a presidential-level decision and that you signed off on it? “Assuming you did not directly order or authorise the apparent diversion and sharing of the over $2.1bn meant to purchase arms for Nigerian soldiers, is it fair to suggest that you at least knew, or had reason to know, that your own former NSA was apparently involved in the heinous crime of corruption to wit: the diversion and sharing of over $2.1bn meant to purchase arms for Nigerian soldiers; and did not take all necessary and reasonable measures in your power as Commander-in-Chief and President to prevent the alleged diversion and sharing of our commonwealth, as explained above?